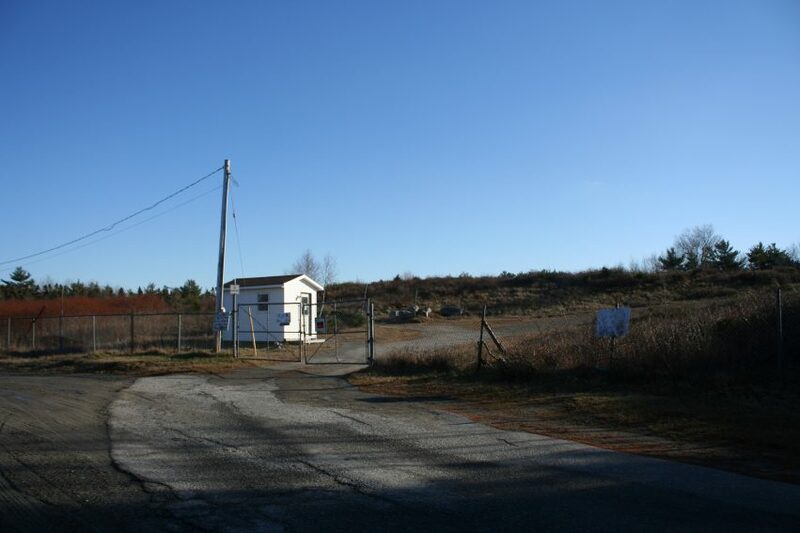 KJIPUKTUK (Halifax) – While members of the Black community in the Town of Shelburne are facing racist comments by a local councillor, people elsewhere in the province are not standing idly by. A well-attended meeting at the Halifax Central Library last night focused on the various ways Shelburne residents can be supported. “The purpose of this meeting is to organize an event or rally to show solidarity with the people of Shelburne who are defending the rights of the people in the community to enjoy a community free from contamination that affects their health and well being,” said dr. Isaac Saney, one of the organizers of last night’s event. Early on poet El Jones set the tone for the meeting with her poem Be Loyal, Be Strong, Be Free. About how to get where you need to be. What started it all was the Facebook attack by councillor Davis on Shelburne resident and activist Louise Delisle, who traveled from Shelburne to attend last night’s meeting. SEED, a group that Delisle belongs to, believes that the disproportionate number of deaths of cancer-related causes within the small Black community is likely caused by toxic seepage from a nearby town dump. The councillor took offense when Delisle spoke out. “I think it’s time to stop playing the racism card. It’s old. And I think it’s time to stop grasping at the looking for “compensation”, game, but to find a way to make things work moving forward,” wrote Davis on Facebook. There were more insults and accusations by the angry councillor, which you can read about in this Nova Scotia Advocate story. Appalled, people at the meeting want the councillor to resign. They also want the Town to support the Black community in their demands for clean water and proper research into the deaths caused by cancer of so many men in the community. Although people at last night’s meeting were angry and eager to act, the idea that the Shelburne residents who understand the local situation must be included in any decisions about future actions was well understood. After discussion it was decided that people will travel to Shelburne to discuss a possible rally or other actions at a later date, a visit that should also be considered a show of solidarity all on its own. The tentative date for that community meeting is May 27. Several people mentioned that the significance of last night’s meeting extended beyond just the events in Shelburne, and should also become the foundation for a coalition that will facilitate responses to any future occurrences of racism anywhere in the province. 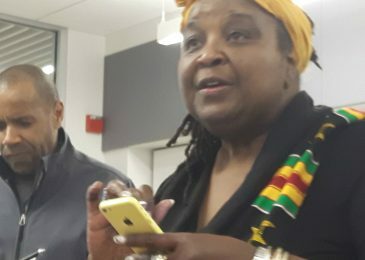 After the meeting community activist Lynn Jones, who was also involved in organizing the event, expressed her satisfaction with what took place. “We got a lot of work done, and I am happy about that, because it is something we can move forward with. The intention was never to make it a huge event, it was a get together for people who wanted to actually help organize. It grew from there,” said Jones. “I am also happy that people recognized that we don’t have the infrastructure within our community to do these kinds of things, and that we need it,” Jones said. We called Delisle today to get her feedback on what happened last night. “It makes me feel so good to have that support of people outside the community as well as within the community. Racism is like a sore, and in order to heal it got to hurt first, I guess,” said Delisle. “You feel like you don’t have a voice, and you’re feeling isolated within that sickness. “And then to get that support from outside, it is like a rejuvenation, it is hard to put in words. “I believe something good comes from everything. I feel that we can live on the face of this earth as one group, without having to worry about the colour of your skin, where you come from, or who you are, what your beliefs are, your sexual preferences. I believe we can all live together in peace. I believe that,” said Delisle. Note: tentative date of community meeting changed from May 20 to May 27th. Previous Post Kendall Worth asks: Was the Liberal government good or bad for people living in poverty? Well done. It is inspiring to see the unified efforts for a small Black community be supported by the larger Black community. The effective work and effort is not completed as we all know and the battle for one is the battle for all. I wish to say that the battle for the representation of Blacks in Nova Scotia regarding the Halifax Shipyards ie. “Irving Oil” is not done as well, with your support I suggest any inquires be made via District 8 Halifax Peninsula North Councillor c/o Mr. Lindell Smith ph: 902 490 1577. Thank you once again.